Habit: upright perennial with soft hairy basal leaves (formed at the base of the plant) divided into three deeply lobed and toothed divisions off long petioles. Leaves get smaller as they progress up the stem. 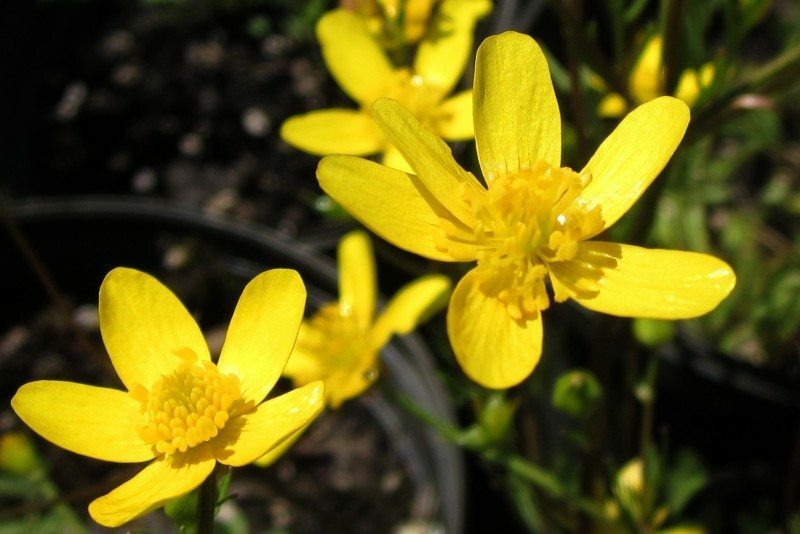 The bright yellow flowers are terminal with 5-8 shiny petals surrounding a plethora of stamen. Ecology: found growing on grassy hillsides, coastal bluffs, in moist meadows, and open forests between 300-7200 ft (100-2200 m) on both sides of the Cascades. Growing Conditions: partial shade in moist well-drained soil.